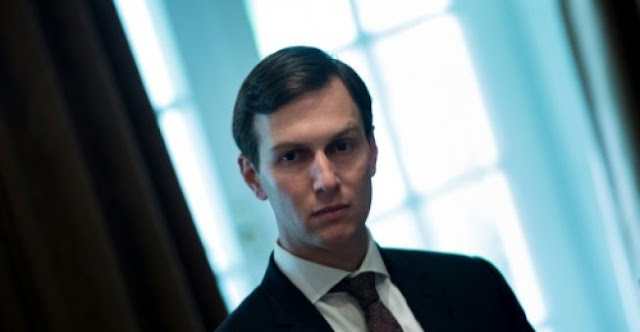 In addition to the email controversy, Kushner is facing scrutiny over his role in the Trump campaign's alleged collusion with Russia to interfere in the 2016 election, which is the subject of multiple ongoing probes including by independent prosecutor Robert Mueller. WASHINGTON - Jared Kushner used a personal email account to communicate with White House aides in his capacity as a senior adviser to his father-in-law US President Donald Trump, according to reports. As a candidate, Trump routinely attacked his Democrat rival Hillary Clinton over her use of a private email server while she was secretary of state, telling supporters "she has to go to jail" over the affair. Following an investigation, the FBI recommended that no charges be brought against her, but noted she had been "extremely careless" in her handling of sensitive information. There is no suggestion the emails contained highly sensitive information or were classified, it added, but they could fall foul of the Presidential Records Act, which requires all documents related to the president's personal and political activities to be archived. Kushner's numerous responsibilities within the Trump administration include brokering peace in the Israel-Palestinian conflict. Abbe Lowell, a lawyer for Kushner, confirmed the report in a statement to the media. "Fewer than 100 emails from January through August were either sent to or returned by Mr. Kushner to colleagues in the White House from his personal email account," he said. "These usually forwarded news articles or political commentary and most often occurred when someone initiated the exchange by sending an email to his personal rather than his White House address." In addition to the email controversy, Kushner is facing scrutiny over the Trump campaign's alleged collusion with Russia to interfere in the 2016 election, which is the subject of multiple ongoing probes including by independent prosecutor Robert Mueller. In June 2016, Trump's eldest son Donald Trump Jr, Kushner and then-campaign manager Paul Manafort met with a Russian government attorney who an intermediary claimed had incriminating information about Clinton. Jared Kushner used a personal email account to communicate with White House aides in his capacity as a senior adviser to his father-in-law US President Donald Trump, according to reports.